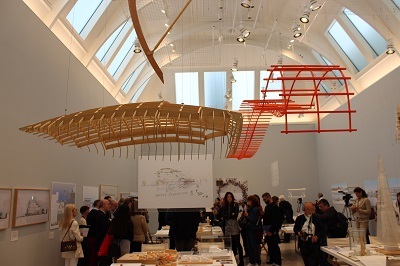 The Royal Academy of Arts present an exhibition of the internationally-renowned architect and Honorary Royal Academician Renzo Piano. 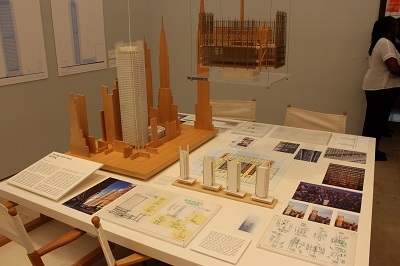 The exhibition entitled Renzo Piano: The Art of Buildings is the first comprehensive survey of Piano’s career to be held in London since 1989, and is located in the new Gabrielle Jungels-Winkler Galleries in Burlington Gardens. Renzo Piano is one of the world’s leading architects and is primarily known for his work on the Centre Pompidou in Paris, The Shard in London and the new Whitney Museum of American Art in New York. 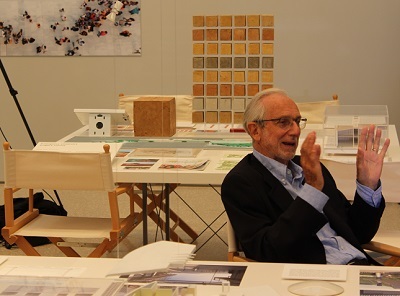 In 1981 the architect founded the Renzo Piano Building Workshop (RPBW), located in Paris, Genoa and New York, which, with a team of 150 staff, has realised over 100 projects that include large cultural and institutional buildings, housing and offices, as well as urban plans for entire city districts. Born into a family of Italian builders, Piano has incorporated the practical aspects of this background with experimentation with form, material and engineering to create a coherent whole. Piano is known for his attention to detail in the design process, constantly testing the way that the buildings will look and feel. 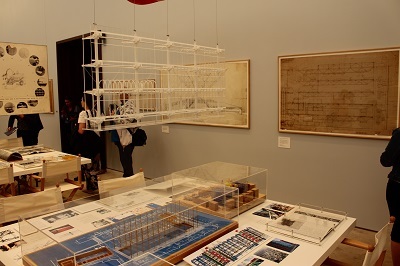 The exhibition offers an overview of the architect’s practice through sixteen of his most significant projects, dating from his early career when he was experimenting with innovative structural systems, to some of his best known buildings of the present day. Highlights include Centre Pompidou, Paris (1971), Jean-Marie Tjibaou Cultural Centre, Nouméa (1998), The New York Times Building (2007), The Shard, London (2012), Jérôme Seydoux Pathé Foundation, Paris (2014) and Whitney Museum of American Art, New York (2015). The projects are laid out on tables in a couple of the galleries and are a mixture of archival material, models, photographs and drawings. 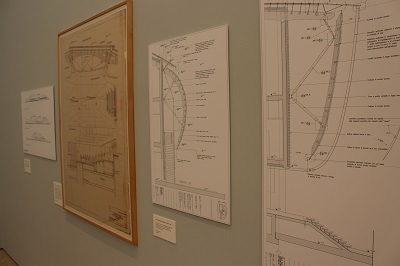 Each project display gives some insights into the design process but perhaps more importantly into the conceptual theme of each particular building. 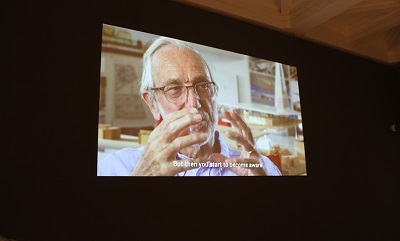 To understand more about how Piano sees the world and the role of architecture within it, there is a specially commissioned film by Thomas Riedelsheimer in the central gallery. 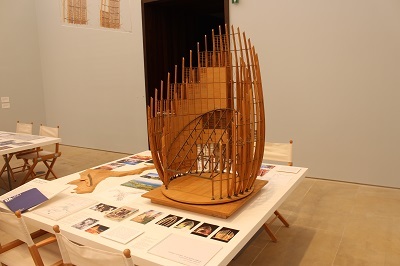 Also in the central gallery is large centrepiece that is a sculptural installation designed by RPBW especially for the exhibition, illustrating 100 of Piano’s projects on an imaginary island. Around the walls of the gallery are 32 photographs by Gianni Berengo Gardin, large drawings of various projects and hanging from the ceiling are various models of different pieces of materials used in the design process. 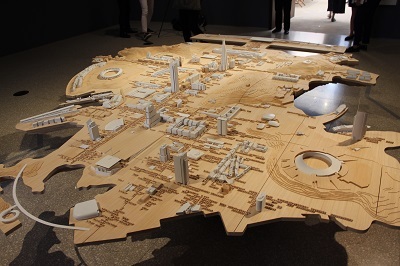 Architecture is often quite a difficult form to show in art galleries, very often models do not do justice to the large-scale of the actual buildings. 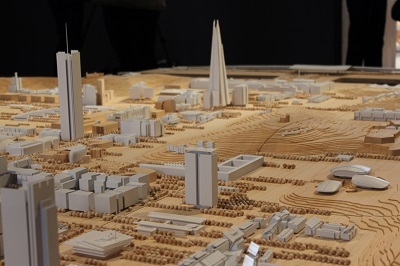 However this fascinating exhibition is more concerned in providing some insights into the work, aspirations and achievements of an architect who believes in the many possibilities of architecture. The new Royal Academy is committed to raising the profile and appreciation of architects and architecture, this high-profile exhibition provides a wonderful launching board for many other exhibitions on the subject. By londonvisitors2014 in Exhibitions on September 12, 2018 .